‘Tis the season! I feel like I have been away from this blogging thing forever, but ahh it feels good to be back. Ok…semi-back! Things are still crazy at our house, we haven’t found a routine yet, but things are starting to feel slightly back to normal so that’s a good thing, right?! Ha ha! So the Christmas season is upon us and the busy-ness of it added to our already hectic schedule has made the month of December fly right by. Aaron will be exactly one month old tomorrow and I can’t believe Christmas is a short 9 days away (eek! single digits- insert wide eyes and open mouth here)! 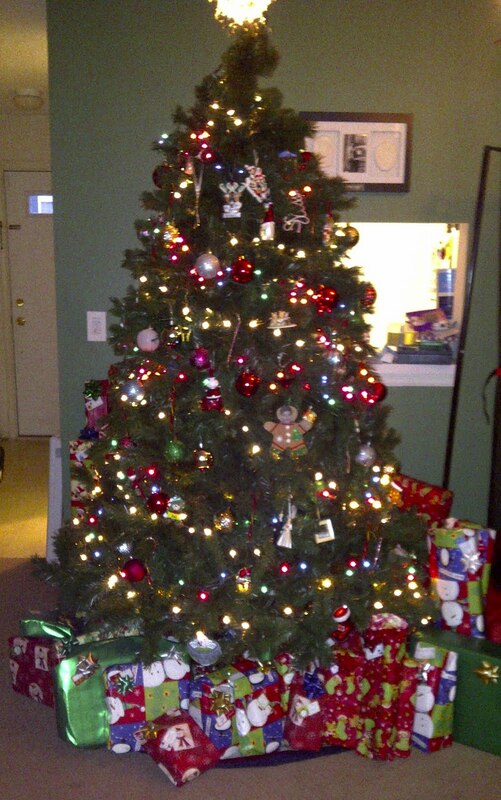 I can safely say we are 98% done with our shopping, our tree is decorated, and the presents are wrapped. 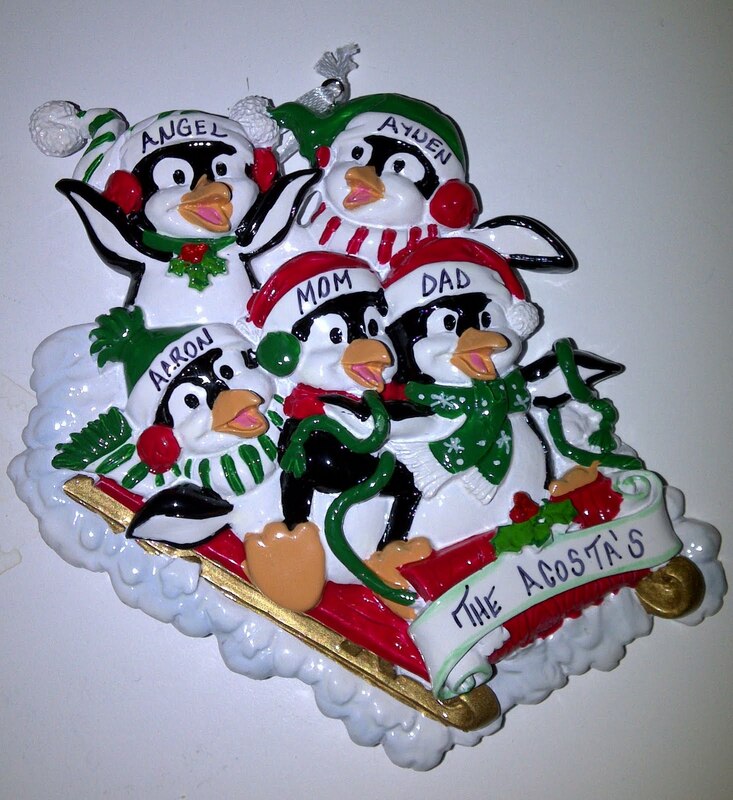 Next week we are looking forward to our oldest son’s Christmas play/party at his school as well as family coming in for Christmas Eve and Christmas Day celebrations! Until then I will leave you with these pictures to show our Christmas spirit thus far! 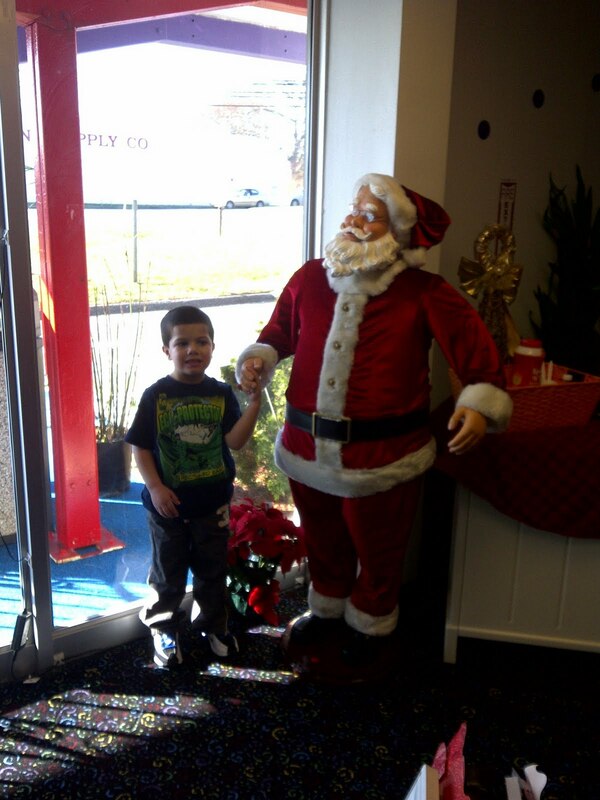 “Baby” Angel at Bounce U last week with Santa! 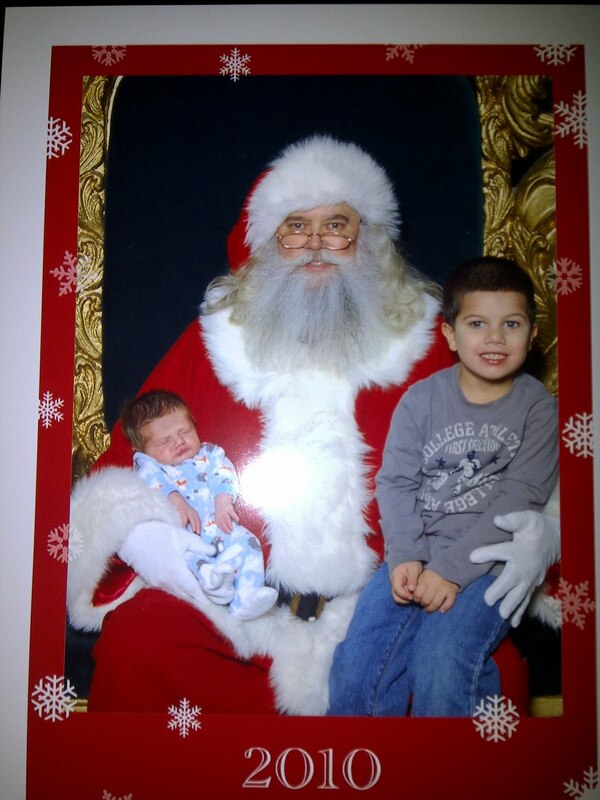 2 out of 3 kids with Santa!